The Cheetahs and Lions are the newer South African teams with the Lions recently coming back into Super Rugby. The sides are capable of putting on a big show with the big forward packs going head to head. Willie le Roux has a confident boot and should help guide the Cheetahs to a comfortable victory. 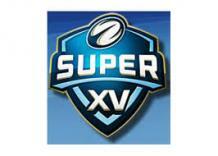 This is the big match up of the round with the two big South African franchises pitted against each other. There are plenty of Springboks and history has shown that these teams put up a good amount of points against each other. It should be a big game. No Morne Steyn for the Bulls. The Sharks have ex Springboks coach Jake White at the helm which will certainly make them one of the SA contenders for the title.